Barbara Taylor Bradford OBE (May 10 1933) is an English novelist. Her 1979 debut, A Woman of Substance, ranks as one of the top-ten bestselling novels in history, with more than 31 million copies in print. She is also the first author in publishing history to record 24 consecutive bestselling novels in both the US and the UK. Bradford was born in Leeds, West Yorkshire as the only child of Freda and Winston Taylor. She grew up in the Leeds suburb of Armley and after Town Street Church of England School and Northcote School for Girls she worked in the typing pool at the Yorkshire Evening Post before going into journalism. By the age of twenty she was the fashion editor of Woman's Own Magazine and an editor and columnist on Fleet Street for the London Evening News. Bradford's books have sold more than eighty-one (81) million copies worldwide in more than ninety (90) countries and forty (40) languages. Ten (10) of her books have been made into miniseries and television movies, making her the No. 1 best-selling author of women's fiction over the last 30 years. Currently, one of the richest living authors, Bradford's personal wealth has exceeded £145 million, making her one of the wealthiest women in the UK. Barbara lives in New York City with television producer Robert Bradford, her husband since 1963. Barbara Taylor Bradford's book Playing the Game was available from LibraryThing Early Reviewers. 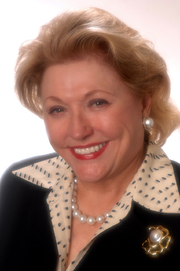 Barbara Taylor Bradford is currently considered a "single author." If one or more works are by a distinct, homonymous authors, go ahead and split the author. Barbara Taylor Bradford is composed of 19 names. You can examine and separate out names.